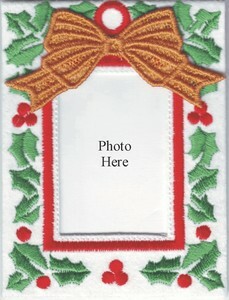 This Photo Frame Ornament includes printable instructions. Look for the special instructions in your download center. This Photo Frame with Freestanding Bow is created by sewing two separate designs.